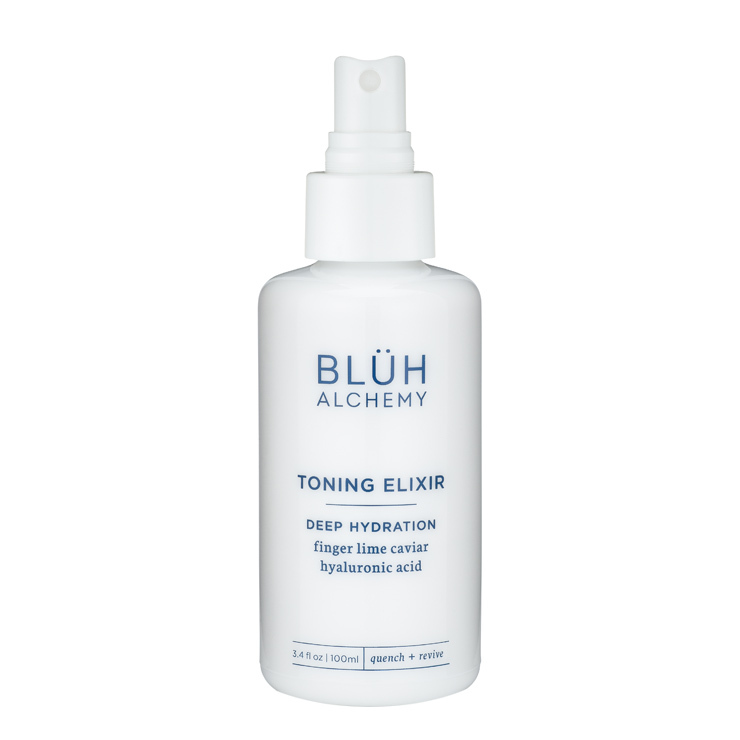 Blüh Alchemy Toning Elixir is the perfect accompaniment to a healthy cleansing routine. The name perfectly describes this potent elixir of hydration and active botanicals that leave skin feeling toned, plump and healthy. Aloe vera leaves skin feeling lightly moisturized, refreshed, and calm. Finger lime caviar is high in vitamin C to helps skin feel tightened and toned. Mountain pepper leaf reduces the appearance of redness and imbalance, while snowflower visibly evens discoloration. Hibiscus and hyaluronic acid are added to give skin a plumped and youthful look. 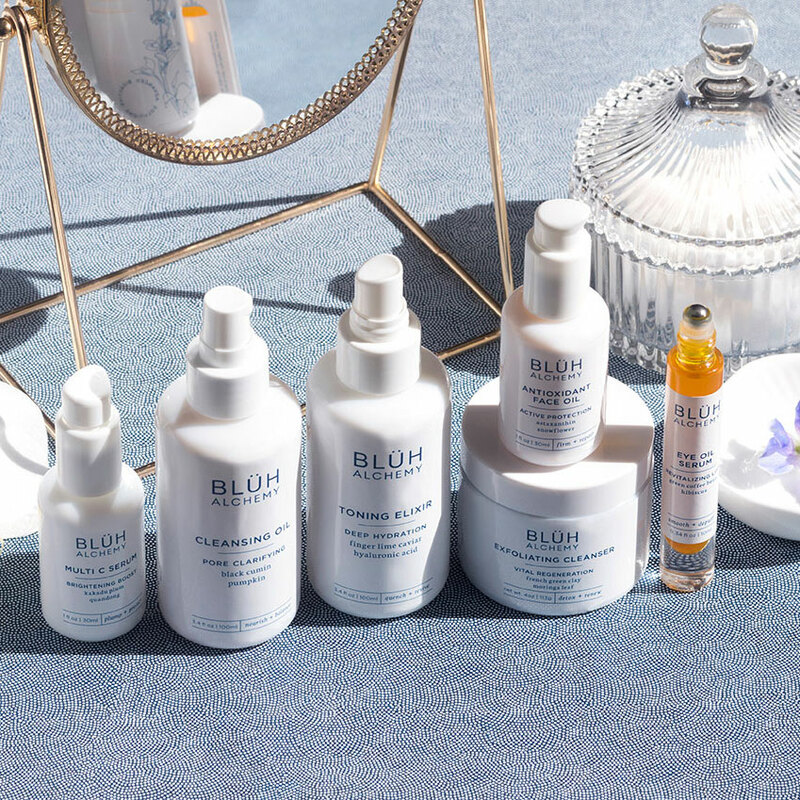 Mist onto clean skin to prepare skin for serum, facial oil, or moisturizer. May be used as desired to give skin a revitalized and hydrated feel throughout the day. Combined with the vitamin C serum something truly special happens. I highly recommend. I am a huge fan of facial mists and elixirs and this one far exceeds my expectations. It has the most unique, uplifting scent. Even my husband loves it. The pump sprays a very fine, even mist that absorbs quickly into my skin. Though it is a bit more expensive than the facial mist I most commonly use, I will be repurchasing this when I run out. The scent is just too luxurious to pass up and the performance is perfection. I am so happy to have discovered this brand!